Meet the TEDxCLE 2015 Speakers! Video Designed & Directed by Zach Christy. Original Music by Kirk Pearson. A special thank you to the Cleveland Memory Project & Cleveland Public Library. On the precipice of our sixth year, we have taken time to reflect on the growth Cleveland has experienced. The city is truly a different place now than it was when we returned almost seven years ago. Downtown is making national headlines, districts have formed, and the place that TEDxCLE calls home – University Circle – is more vibrant than ever. But our event is about more than the geography of our city – it’s about the people that bring about this change. Those that decide to keep talking, keep doing, keep pushing – for themselves and our community. Most of all, it’s about those that take what is considered standard or normal and say, That’s just not good enough. 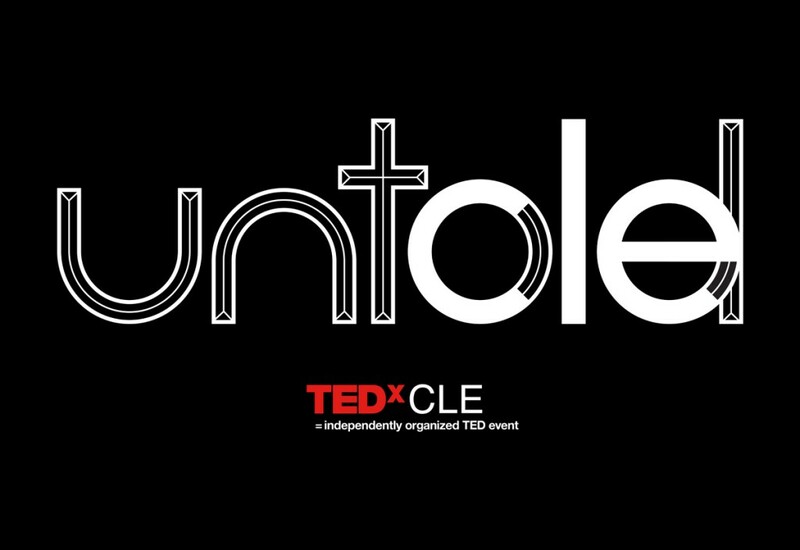 This year we celebrate those ideas and individuals with… TEDxCLE 2015 // UNTOLD June 5th, 2015 1-5 pm Our theme looks to explore the stories in our community that need to be looked at differently, more intensely. We celebrate the underground. The uncomfortable. The truths that are keeping us from realizing the world-class city we know we are in certain areas, while wildly succeeding in others. Time: Doors at 12:00 p.m. Event begins promptly at 1:00 p.m. and concludes at 5:00 p.m. Subscribe to the TEDxCLE Ideas Newsletter to receive future announcements. Enter your email address below. The TEDx Salon Program Comes to #CLE! Is this event sold out and if not where do I find tickets for the event in April 2015? Beyond excited to attend TEDxCLE for the first time this year! The lineup of brilliant minds looks great – can’t wait to listen to their talks and see what they bring to the conference. Will a recorded video be available after the event? I am unable to attend, but very interested in the topics. Videos of all speakers will be posted online in within the next 2-3 weeks! If you miss a showing, is there some way that you can still see the talks? Hi Ben – The videos can be found on each speaker’s individual page. We hope that you enjoy them! In the spirit of ideas worth spreading, TED has created a program called TEDx. TEDx is a program of local, self-organized events that bring people together to share a TED-like experience. Our event is called TEDxCLE, where x = independently organized TED event. At our TEDxCLE event, TEDTalks video and live speakers will combine to spark deep discussion and connection in a small group. The TED Conference provides general guidance for the TEDx program, but individual TEDx events, including ours, are self-organized. This independent TEDx event is operated under license from TED. Website built by shark&minnow.